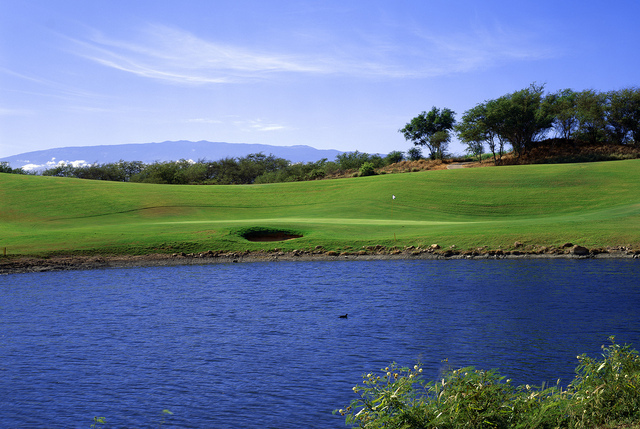 Looking for great golf in Maui? 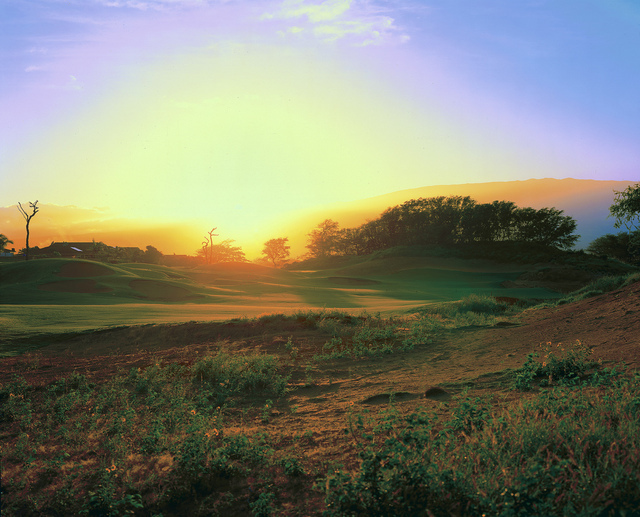 Visit The Dunes at Maui Lani, the course Golf Digest called the "Best Kept Secret Golf Courses in America." 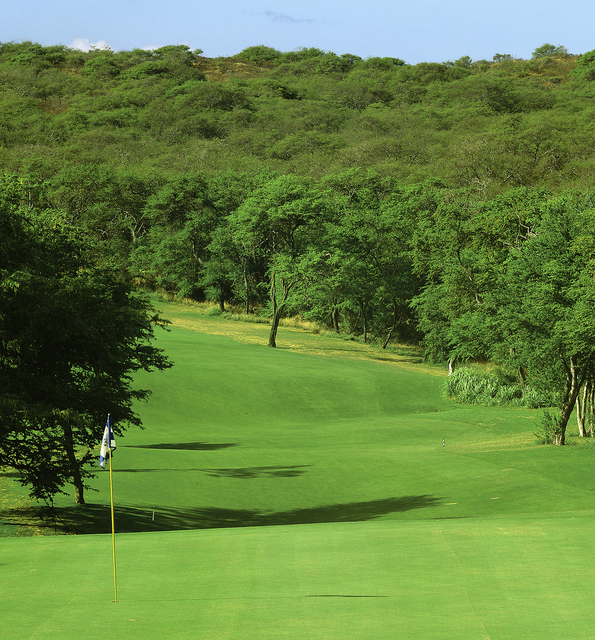 Designed by Robin Nelson, the course features 18 challenging hole of links-style golf. You'll feel like you're in Ireland by way of Maui. 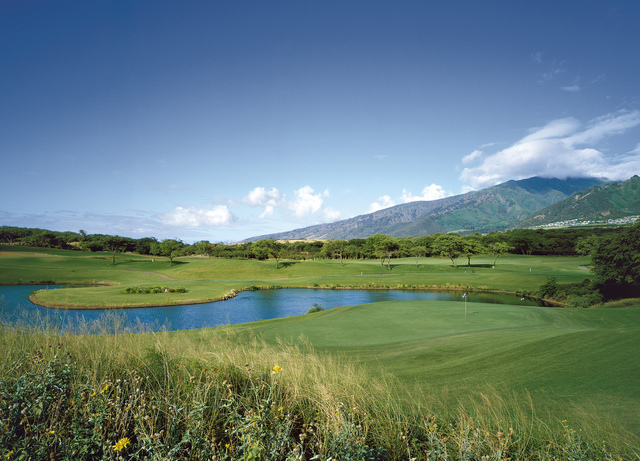 For golfers looking for a great Maui experience, your destination is The Dunes at Maui Lani. 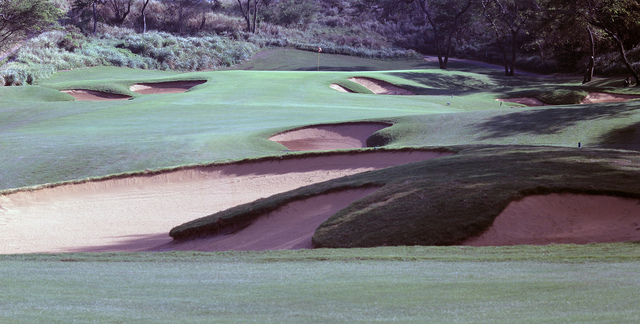 Golf's most respected journalists agree: The Dunes is a must-play. Golf magazine named it among the top 35 best new golf courses in America, while Golf Digest called it one of the five "Best Kept Secret Golf Courses in America." 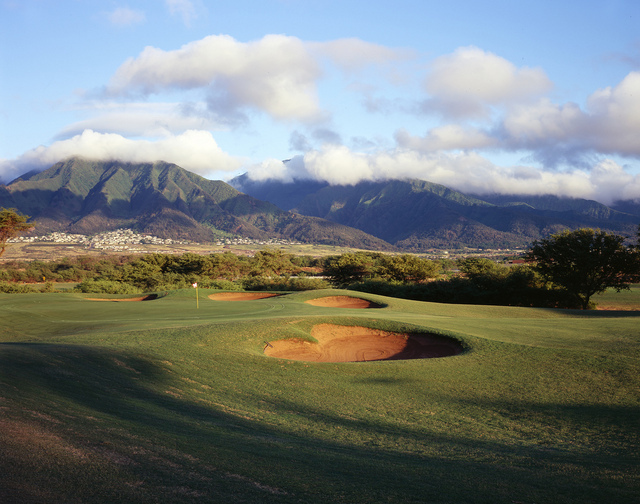 Designed by Robin Nelson, The Dunes at Maui Lani is immaculately maintained and brilliantly laid out. It is a tribute to the great links courses of Ireland that more than one golf writer has described as a "British Open course on Maui." 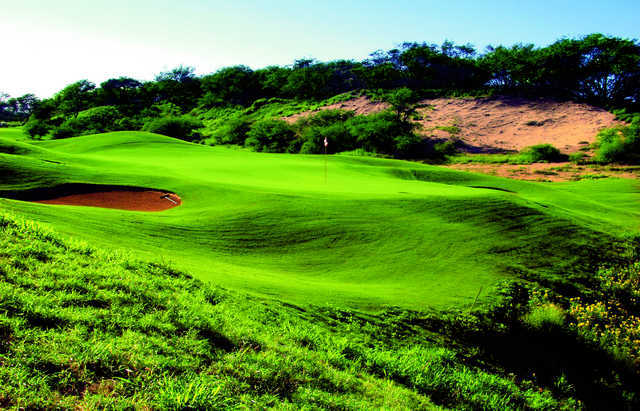 Stunning dunes dot the terrain at every corner, challenging the golfer at every hole. 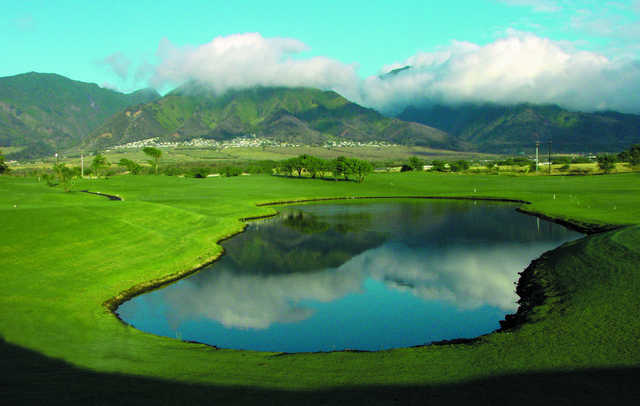 In addition to 18 holes of championship golf, The Dunes offers the only lighted practice range in central Maui, with grass tees, fairway and green-side bunkers and a pitching and putting green, plus an air-conditioned pavilion. 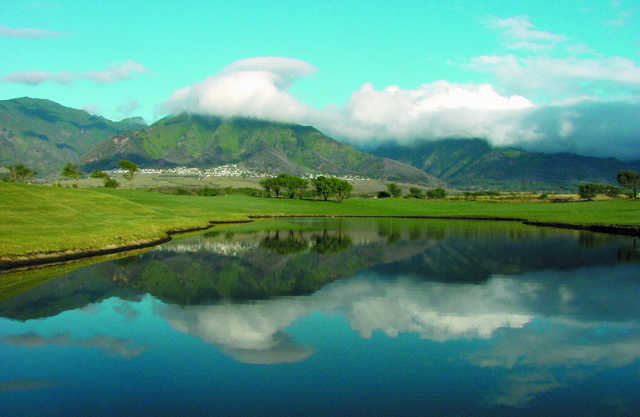 Also, when not on the golf course, golfers can enjoy a four-star meal at Cafe O'Lei at The Dunes. A very fun course. combination of dunes and h ills. conditions were good. greens very good and many shot values due to elevation changes and overall course design. 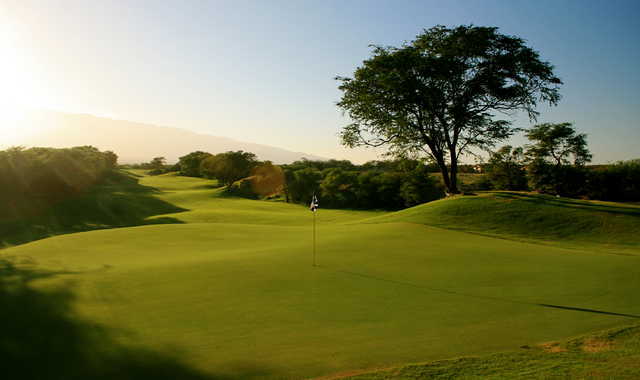 if you do not enjoy this course you do not understand true quality golf. 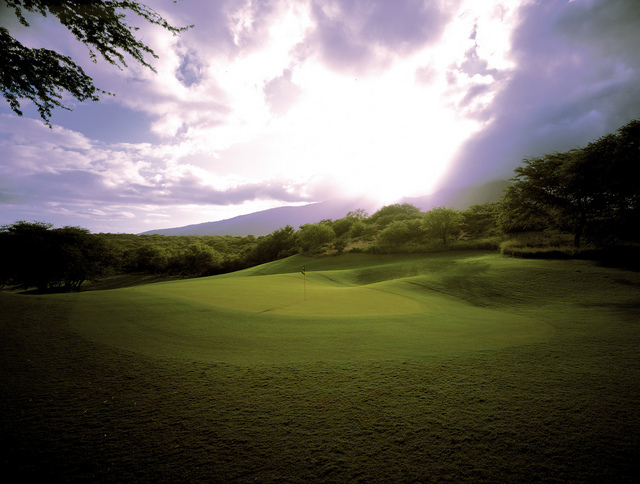 I have played most courses on maui and consider this course as the best . Played last November. Don't know whether I played a links course, a desert course or an upcountry course. 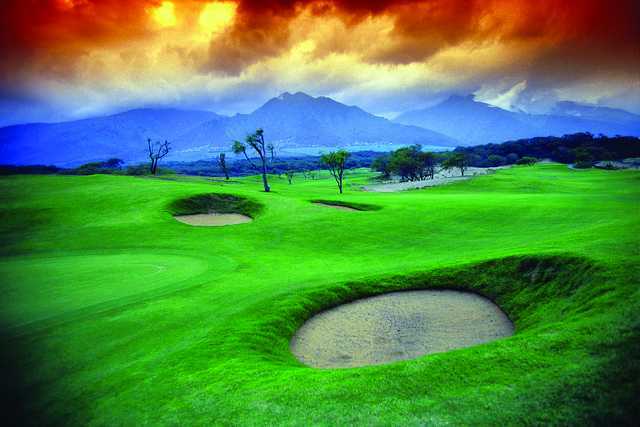 Course has different holes set into different environments. Too bad the middle holes wander all around a residential area. The architect was quite creative in order to fit this course into the area he or she had to work with. Great view from some tees and greens over the valley and ocean. Greens in pretty good shape. Don't now if I would go back. Liked Kahili down the road a few miles better and it is cheaper. At least I felt like I was in the country in Hawaii. This course is well worth the money which is very reasonable. 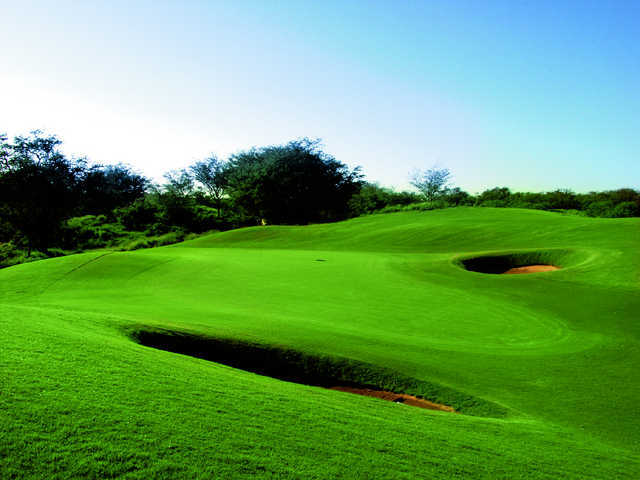 The course is very well maintained with some very challenging holes. 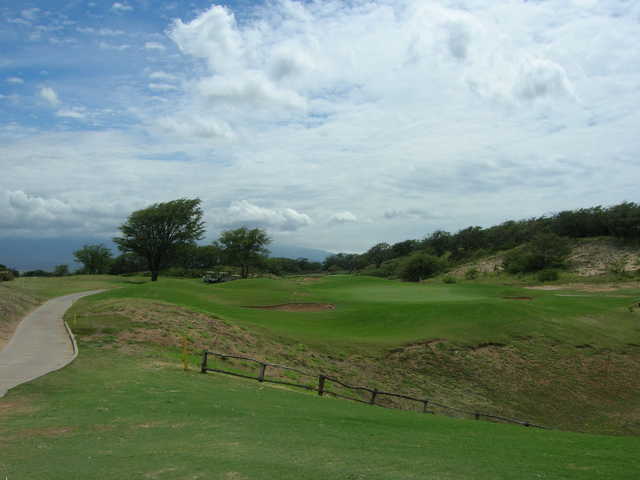 For my last round in Maui, I was torn between trying to squeeze in a twilight round at the Plantation (which I have played before), and a round at the Dunes. I'd read some reviews - hidden gem etc, and I was a bit skeptical. I have played several top courses in the US (Pacific Dunes, Edgewood Tahoe, Harding Park, Cog Hill! Troon North, Spanish Bay)and about 30 of Canada's top 100. This course ranks in my top 10 lifetime. And for the price, it is probably the best value I have ever played. Let me set something straight, though. This is NOT a links course. Links "style" maybe. In that you play nine away from the clubhouse and then nine back in. And yes there are some pot bunkers. But there is no bump and run here. Not like Pacific Dunes, which is a real links course. 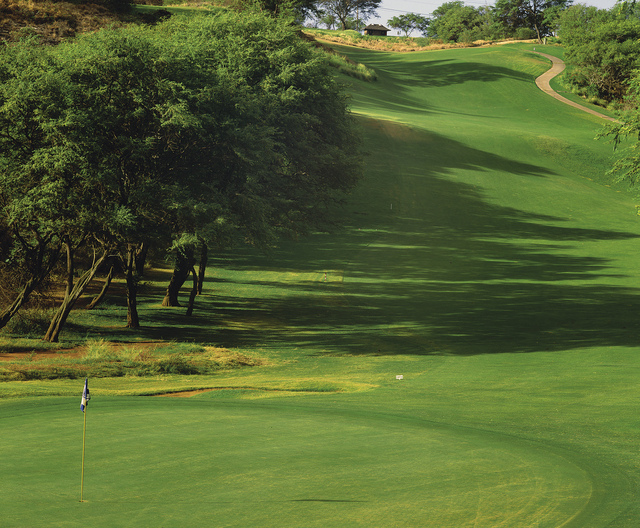 it's certainly not as scenic as say the Challenge at Manele, but it's every bit as challenging, and less than half the price. Sorry, Kapalua, but you've seen my last dime. I will be back tom play the Dunes at Maui Lani. 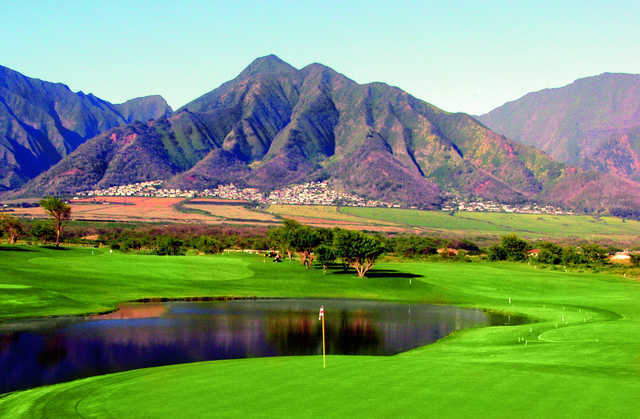 This is a real Gem!If you feel you must play the big name dropper courses on Maui, go ahead, but leave room on your calender for a round, or two here. Great Course, Very Affordable! a Must Play every time I visit Maui! Friendly Staff and a unique layout. After playing nearly all the courses on Maui, Kauai and Oahu over the years, The Dunes at Maui Lani is by far the most challenging and rewarding track. You will not be bored playing this course! From the back, it's not long, but it will require focused shot making. This is a golfer's course. If you want to see pretty ocean scenes, go to one of the resort courses. If you want to PLAY golf, play the dunes. This is my favorite course on Maui. It's just plain awesome. 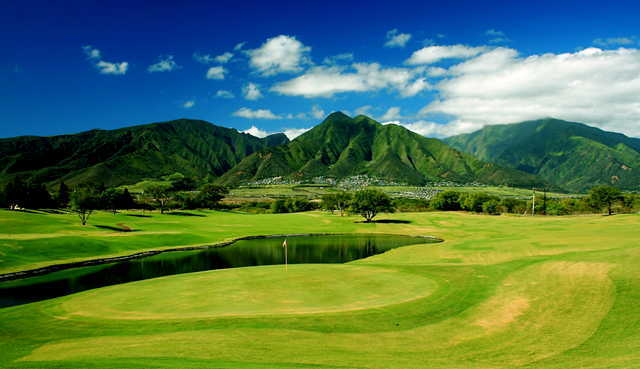 It's basically a British Open course that was just dropped right in the middle of Maui that has sunshine and warm weather rather than rain and cold temperatures. The staff is great, the food is great, the practice area is great, the course is great, and overall it's fantastic. 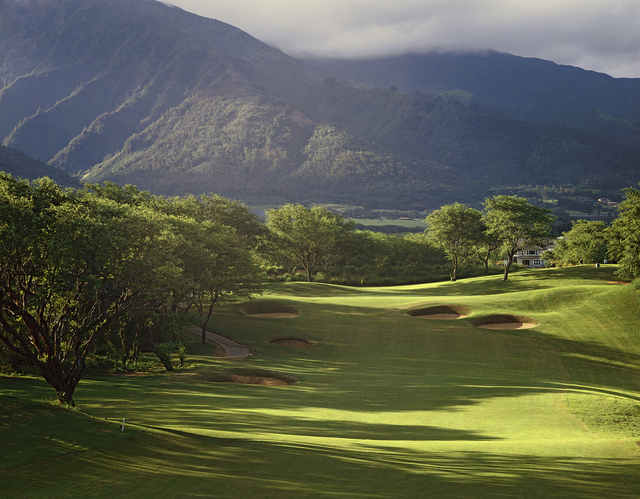 This has to be the most underrated course in Hawaii and maybe even in the US. 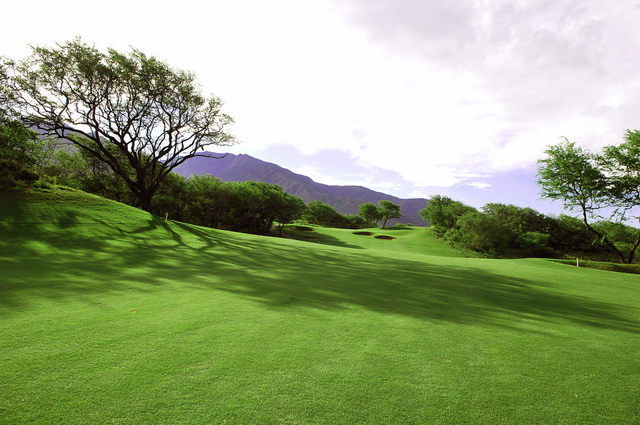 Playing this course is a experience you shall never forget. Can I be picky? The above pic is the par 3 #17, not the par 5 #18. 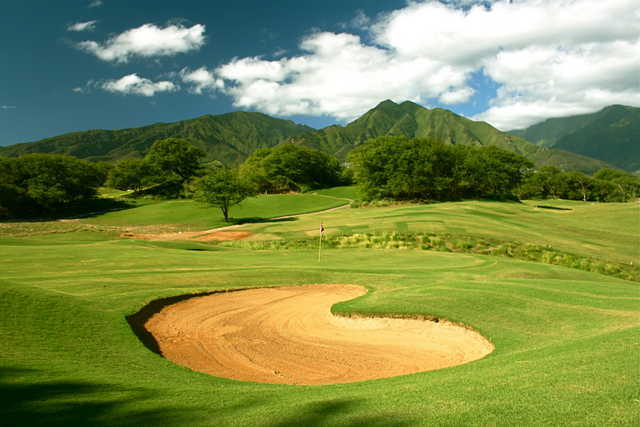 The Dunes is the most interesting course on Maui. Every hole is unique and after you have played the course a few times you will remember every hole - unlike many courses where one hole merges into the next. Although it is a shorter course, it will use every club in the bag. It also rewards good shots and offers a lot of risk-reward. Unlike most Maui resort courses with wide fairways, trimmed rough, and a lot of similar holes, the Dunes is the links style. The staff are friendly and much more personal than most of the courses - more local, and laid back in some ways. Good practice facility (#3 on the island after Wailea and Kapalua. 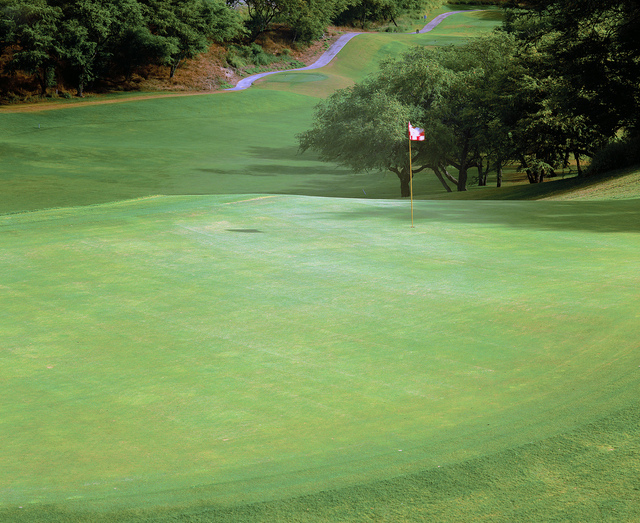 This course grabs your attention and holds onto it for the whole round. The new hole #4 is a great addition to a already fabulous course. I love this golf course, it's not the traditional American style golf. The new layout of number four works great. The course isn't perfect greens and sand traps. I love this about it... It's more old school and the way golf should be played. Number three could be the toughest short par three on the island at only 145 yards. Number ten is difinetly one of the toughest golf holes I've ever played. Love this course would play it every day if I could. The 4th hole at the Dunes was under renovation from July '09 through December 21st '09. During that period an alternate layout was in play. The newly renovated 4th is getting great reviews and the 9th hole is back to it's original challenging Par 5. I played the Dunes this past November and was disappointed with the new configuration that was done to the front nine. You drive around the first par5 #4 which had been one of my favorite holes on my previous three rounds. Then they converted the other par5 #9 into a par3 and par4. The back nine hadn't been touched was in very good condition. I have no idea why they made the change but to me it completely changed my feeling towards the course and it is way down on my Maui re-play list. The course was in good condition and the staff service was good so no issues there.